It is 1954 and thirteen-year-old Frank Gold, refugee from wartime Hungary, is learning to walk again after contracting polio in Australia. At the Golden Age Children's Polio Convalescent Home in Perth, he sees Elsa, a fellow patient, and they form a forbidden, passionate bond. The Golden Age becomes the little world that reflects the larger one, where everything occurs: love and desire, music, death, and poetry. It is a place where children must learn they're alone, even within their families. 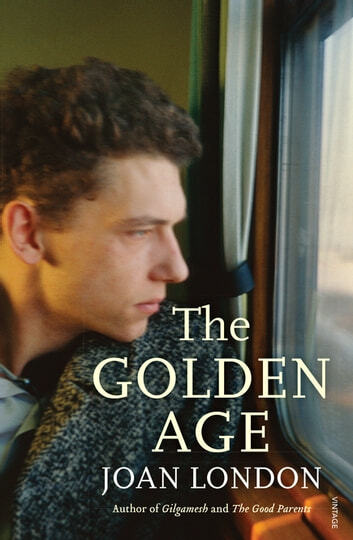 Subtle, moving and remarkably lovely, The Golden Age evokes a time past and a yearning for deep connection, from one of Australia's finest and most-loved novelists. 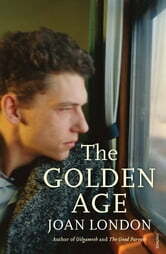 The Golden Age has won the 2015 Prime Minister's Literary Award for Fiction, the 2015 Queensland Literary Award for Fiction, the 2015 NSW Premier's People's Choice Award (joint winner) and the 2015 Kibble Literary Award. It was shortlisted for the 2015 Miles Franklin Literary Award, the Stella Prize, ALS Gold Medal, the New South Wales Premier's Literary Awards: Christina Stead Prize for Fiction, the Asher Literary Award and the Australian Book Industry Awards Literary Fiction Book of the Year. Joan also won the 2015 Patrick White Award for a lifetime of outstanding contribution to Australian literature. In October 2015 she was named a State Living Treasure by the WA government. So nostalgic and gently written. I love Joan Londons writing. Went back and read Gilgamesh and good parents which I also loved. Great to have them set in places so familiar for once. I could feel the Perth in the pages. Josn London writes with a sensitivity that is light and poignant. She has captured the age of entering adolescence for children who are also burdened with the challenge and change of poliomyelitis. Her sense of local atmosphere is superb and her understanding of human nature has great depth. An earthy story of the trials livng with a permanent disablity told through a childs perspective. Educational- a forgoten period rvisited. A beautiful and moving read that brought back many memories of school mates and friends that struggled with the debilitating effects of Polio.